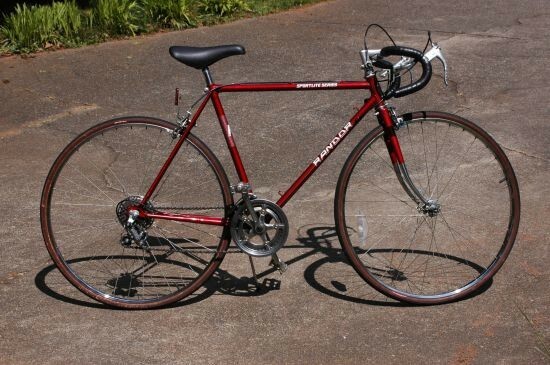 Randor Sportlite Series 10 speed road bike in road ready condition. 27" rims with quick release lever on front wheel. Lug frame is 21" with frame standover height of 31". Excellent finish with detailing. Classic style 80s road bike. New grip tape. Shifts and brakes properly.